Steps you Should Take to Avoid Car Insurance Claim Rejection in India - Muscle Cars Zone! Insurance companies all around the world have a bad reputation of not approving claims made by the insured people. The bitter truth is that this perception of people with respect to insurance companies is true. Insurers try their level best in not providing the claim by pointing out minor faults that goes against the policy. But on the other hand insurance is necessary as it provides coverage against many unforeseen risks. Just to be sure and confident and in order to successfully claim the amount everyone should be very alert and should inquire and read the policy documents prior to purchasing in order to avoid car insurance claim. Comparing the car insurance online is the first step to purchase a good and trusted policy. Talking of claims, everyone should first check the claim settlement ratio of the insurance companies and accordingly buy a policy from the company having high settlement ratio. Following are some points that should be kept in mind if you don`t want to face claim rejections. Yes, you heard it right! If you fail to pay your premiums on time, do not expect any claim from your insurance company in time of need. Delaying of the premium payments may ultimately lead to the discontinuation of your insurance policy. And thus, you no longer are eligible to demand for any coverage once your policy is lapsed. It does not matter how much amount you have paid before as premium, but once your policy is lapsed all of the pre-paid amount turns useless. Apart from this, you also lose the No Claim Bonus (NCB) if you fail to get your insurance policy renewed. Any mishappening that occurs during this time will not be covered by the company, no matter what. If you have bought the car insurance online, make sure you have completed all the necessary formalities regarding the premium payment. If not the case, be ready to bear all the expenses that you face! Therefore, just avoid taking the rules and regulations for granted. Be very specific with the important dates regarding the expiration of your policy etc. Imagine a situation where you face an accident while travelling to a new city. Unfortunately, you have missed out paying the premium amount from last two months. In such a situation, your insurance company will not provide you with any support because your policy would have been discontinued. So just save yourself from this trouble and pay your premiums on a regular basis. According to the statistics, around 40% of the total population who have bought the Best Car Insurance in India are not aware of what actually buying a car insurance means and what are the clauses mentioned in their contract. They just blindly sign the paper without knowing what the policy provides. You should have basic knowledge of insurance policies and along with this you should be well updated with the changes that occur in the insurance market. When a person has knowledge regarding insurance policies he or she will take steps according to the policy in order to make a claim. In case the insurance policy denies the claim the insured can utilize this knowledge regarding claims and raise an objection against the concerned company. A situation may arise when the insured car meets with an accident and the person driving it does not acquire a legit driving license. In this case, all the car insurance companies will deny the claim made by the person. The main reason is that no one should drive a vehicle without license as per the law and if caught will be fined accordingly. Secondly, the policy clearly defines that no claim will be provided in such a case. You should always keep a check on your policies due date and renewal date. This should be done so that you pay your premium on time and most importantly to renew your policy on time while buying car insurance online as well as offline. An expired policy is as good as waste. If a situation arises where you apply for claim and your policy has been expired than don`t expect the insurance company to pay you for the loss. Most of the people don`t know but according to the (IRDA) Insurance Regulatory and Develop Authority of India, motor insurance has been divided into two geographical zones. Metro cities like Delhi, Mumbai, Chennai, Kolkata comes in Zone A. The remaining other cities fall under Zone B. According to the zone the insurance policies are formed. For example, if a car is insured under Zone A and meets up with an accident in Zone B; in this situation the insurance company will not approve the claim. 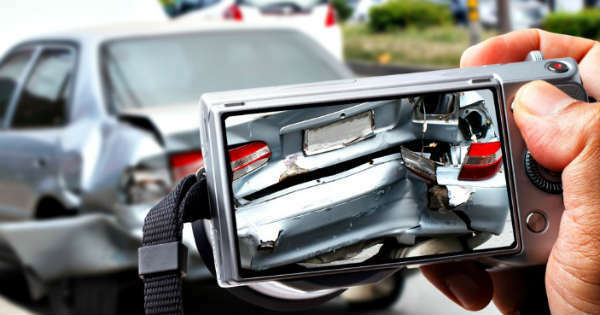 The damages caused to your vehicle due to any part which is not insured will not be paid for by the insurance company. Hence, a person should make sure that he or she buys such an insurance which provides coverage to all the car parts. Regardless of buying the Best Car Insurance in India one should never be in influence of drugs or alcohol. The law states that driving a vehicle after the consumption of these substances is an illegal activity and is counted as crime. Accordingly, the insurance company in no case will provide you with the claim if the damage is caused in such situation. Don`t try to act smart at the time of accident by giving away the car for repair without informing the insurer. Because if you do so and later on apply for the claim for the repairs, your claim will definitely be rejected. In order to make a claim a proper procedure needs to be followed. First of all, a representative of the insurance company will come to look at the damage caused and will take out the estimate cost of repair. Further, a report will be forwarded to the insurance company regarding the claim. Make sure things are done in a systematized manner even if you opt for car insurance online. 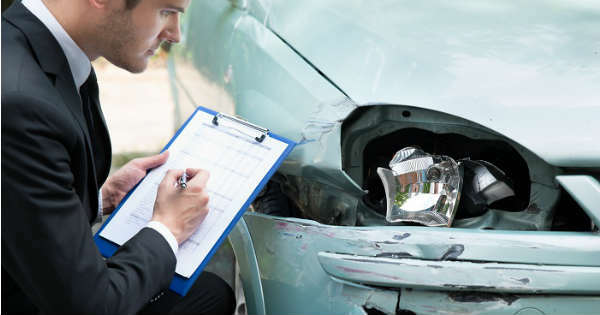 In order to make the claim successful it is necessary to inform the insurance company about the accident, theft or damage within a particular period of time (stated in the policy). If not informed on time the insurance claim will not be approved. Therefore, make it a practice to inform the insurance company about the incident as soon as possible. In case, at the time of making claim the insurance policy is not in your name, as per the terms and condition you will not be eligible to receive the claim. This situation usually arises when the vehicle is bought from another person and you are not the first owner of the vehicle. People forget to transfer the insurance policy to their name and this silly mistake makes them lose their insurance claim. Providing wrong information at the time of purchasing the Best Car Insurance Policy in India will also debar you from making a claim. No one wants this situation to arise as the premium money paid by you will go in the pocket of the second party. Thus, everyone should make sure that they provide the correct information along with legit documents to the insurance company. At the time of purchasing a car insurance online or offline the particular vehicle is registered under a particular category. For example, commercial and private. If the vehicle registered under private category is being used for commercial purpose (as a taxi etc.) the insurance company at the time of any damage will not entertain the claim as you have violated the rules of the policy. In addition to this the insurance company will also not approve the claim in case of overloading and wrong parking. Installing a CNG Kit to your vehicle is a smart choice as it saves natural oils and at the save time is eco-friendly. But in relation to the insurance policies that kit must be registered and should have RTO approval. If the vehicle is installed with unregistered CNG Kit then the claim will not be provided. The insurance company will not provide claim if you don`t present them with the copy of FIR report registered in police station. Therefore, the first thing that you should do in case of a theft is file an FIR. All the above mentioned points, if kept in mind, will minimize the situations of your claim being rejected. Buying car insurance online is only worth, if you get your claim on time.